i have never been a huge fan of horses, but after seeing so many nice pictures of them, i have to confess that they are rather photogenic creatures. 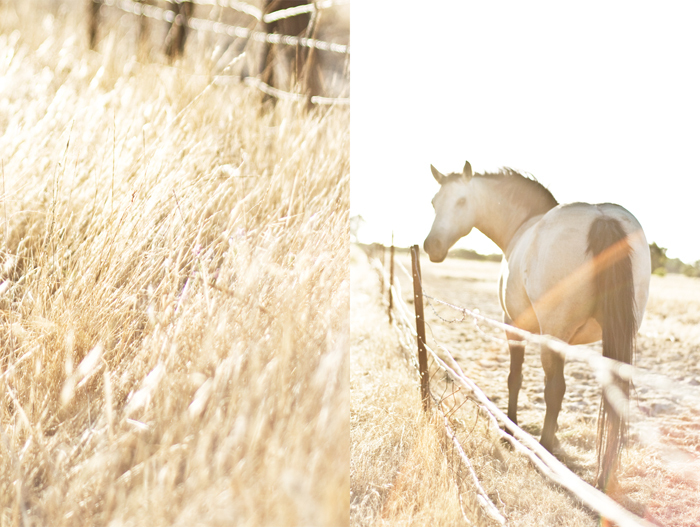 in a burst of spontaneity, marie and i travelled down the road in the fading hot summer sun to capture these. i have no doubt that i will be back for more. these are wonderful aimee! I completely agree with you - there's just something about capturing a moment when the eyes of a horse meet yours. the last photo is my favorite - beautiful color and flare! Aimee, these photos are horse-ome! Tell Charlene Vdv to hit up your blog; I'm sure she'd appreciate these. so gorgeous. my favourite animal. 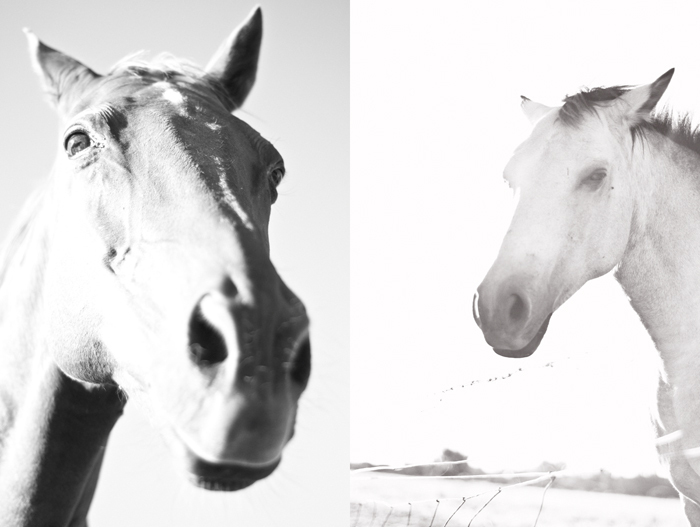 I like the first monotone horse pic. He looks so intimidating and majestic!